Most people think winters are long in Minnesota. They can be long, but what’s really long is spring. It comes in bright and sunny and full of hope and 60-degree weather, and then the next day it’s 25 degrees and snowing. A few days later it’s 50 degrees and rains all day. And the cycle repeats for weeks. Our long drawn-out spring always has our family longing for summer. And since the winter and spring are so long, and the summer is so short, we try to make sure we’re planning a frugal summer long before it arrives. 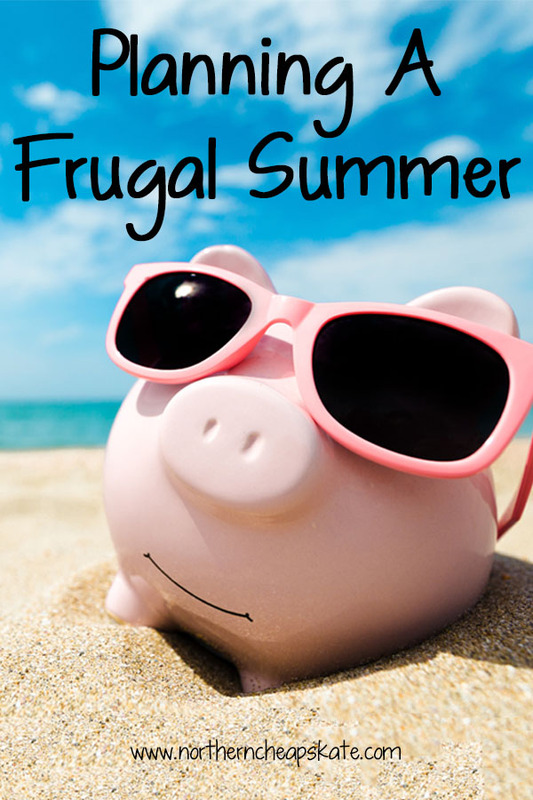 We’ve made planning a frugal summer an annual activity because it not only helps us save money, but it helps us get projects done that need to be tackled during the warmer summer months. Planning for summer now allows us to prioritize our activities and minimize our expenses. And it makes sure that we make time for fun and lazy days, too. We always try to have some frugal projects lined up for the summer. We’ll be planting our vegetable and herb garden, taking care of the lawn and clearing out fallen trees, cleaning out the garage, hanging laundry on the line and berry picking in the woods by our home. We’ll also deep clean the inside and outside of our vehicles and touch-up any rust spots. If we can find a friend or relative in town willing to host a garage sale, we’ll join in and sell what we no longer want or need. All of these things help us to take good care of our health, home, and belongings, and if done with a frugal heart, they all save money, too. And of course, we’ll be planning frugal fun this summer, too. Since we’re lucky to live on a lake in the woods, we’ll be spending plenty of time on and in the water. We’ll be swimming, fishing, and kayaking throughout the summer. We’ll also have adventures in the outdoors. We’ll take bike rides and hikes, and hopefully take a camping trip, too. We’re all avid readers in our family, and the summer months are a perfect time to enjoy some good books. We’ll be using our local library to find free entertainment and inspiration. And the kids will take advantage of free summer reading programs to earn free books. We’ll also take advantage of free things for the kids to do this summer to stave off boredom and stick to our budget. Our family will also be involved in low-cost activities in our community. We’ve marked our calendar with all kinds of free community celebrations we could go to and we’ve prioritized a handful of low-cost community ed classes and day camps to attend. We’ll be making the most of our museum memberships, too! A slower summer schedule also means we’ll be able to eat at home more often, and in summer, that means more summer grilling! It’s a great time of year to enjoy fantastic in-season produce, fresh fish caught from the lake, and our garden harvest. We get a lot of the same in Michigan. We had a great early March, but regardless if it’s 10 degrees above average, that’s still relatively chilly. The last few weeks have been primarily cold but we just got a nice start to what looks like a week or longer stretch of weather in the 60s and 70s. We are looking forward to some much deserved outside time!